At Home With magazine is a magazine that focuses on good living. Buy a single copy or subscription to At Home With magazine. The magazine is packed with fresh ideas on homes,fitness,travel,DIY and loads more. 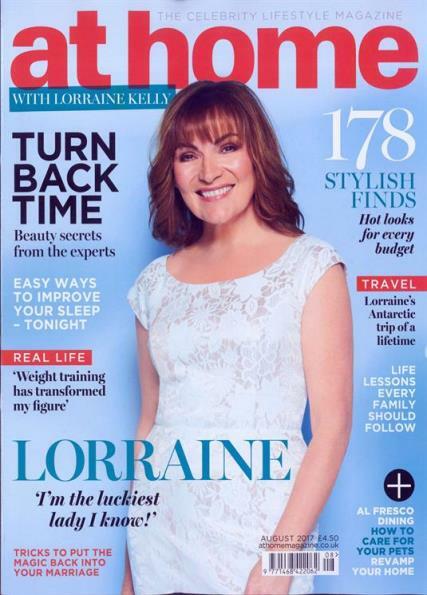 Each issue includes interviews,celebrity homes, hints and tips on how to improve your lifestyle and so much more. Subscribe today to At Home With magazine.